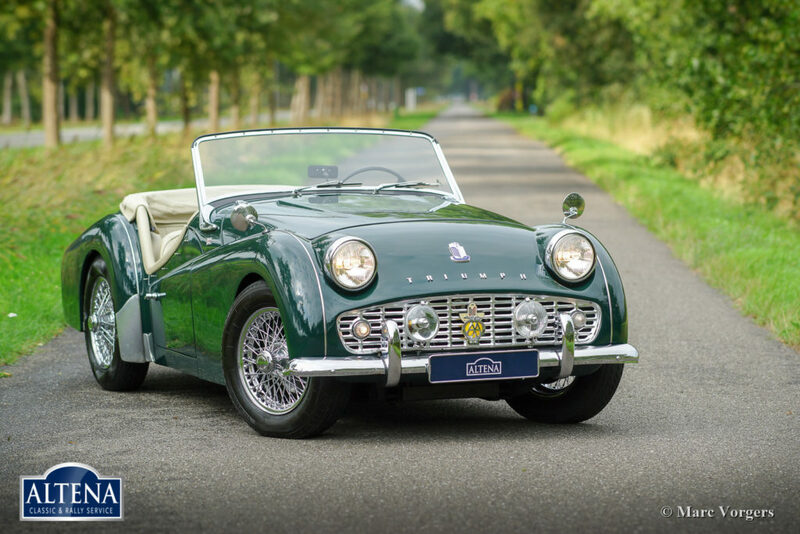 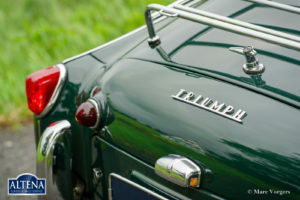 Triumph TR 3A, year 1961. 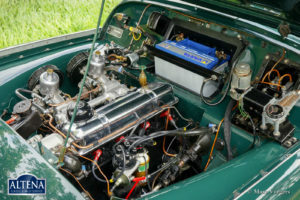 Chassis number H2650G64X, engine number IS 7727X, body number EB7566X. 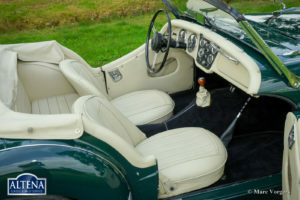 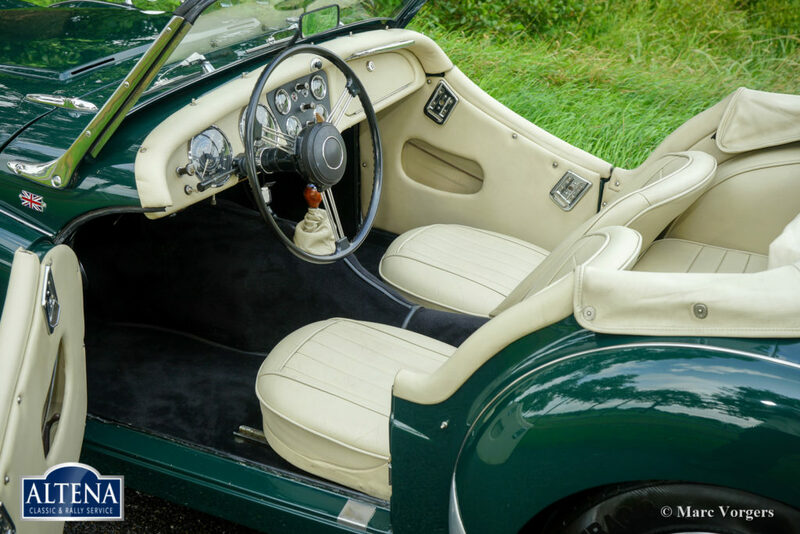 Colour British Racing Green combined with a pale beige leather interior (Magnolia). 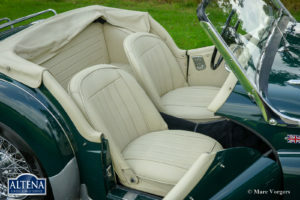 Black soft-top, black mohair tonneau cover and side screens with black frames. 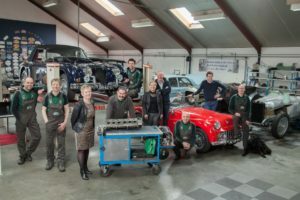 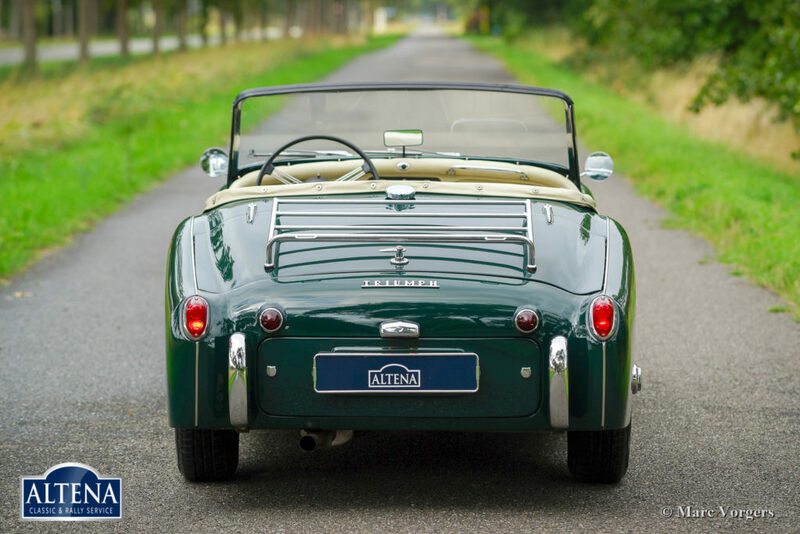 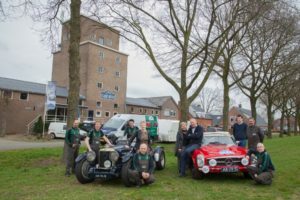 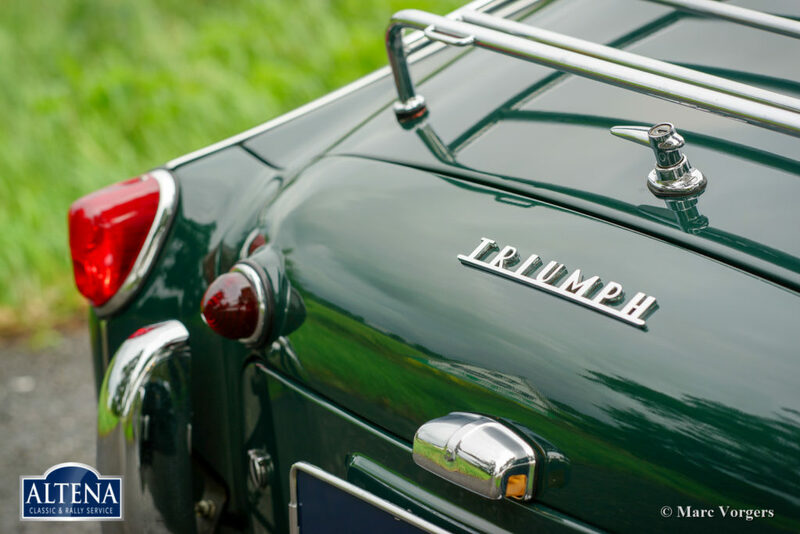 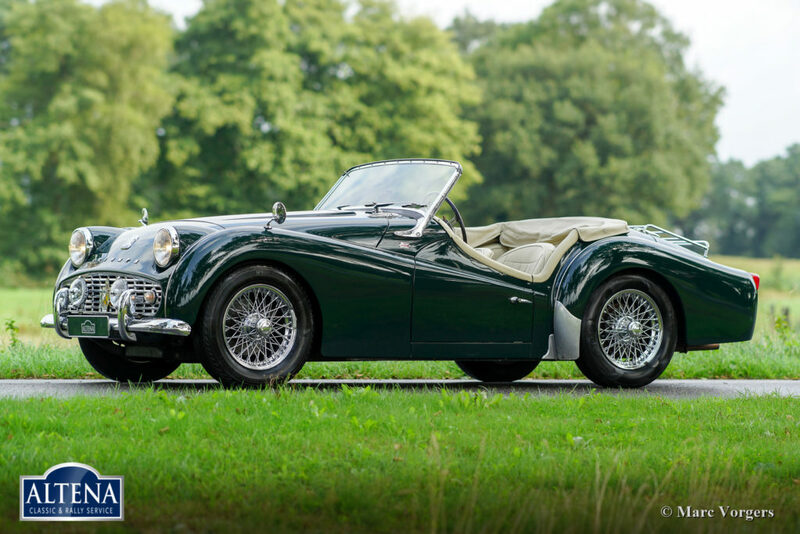 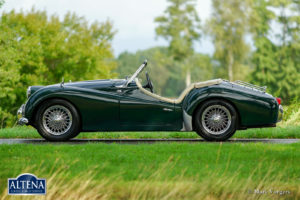 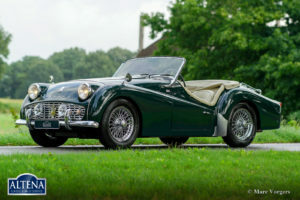 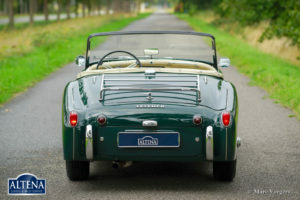 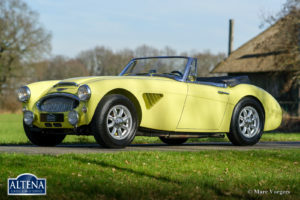 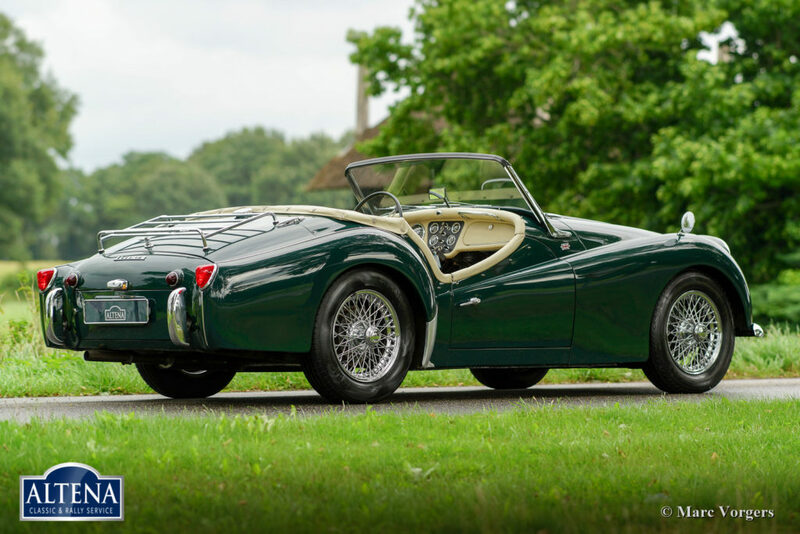 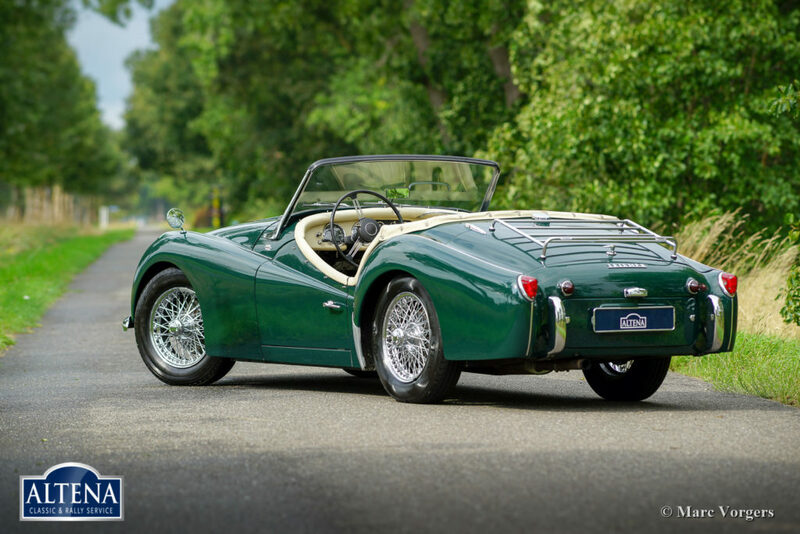 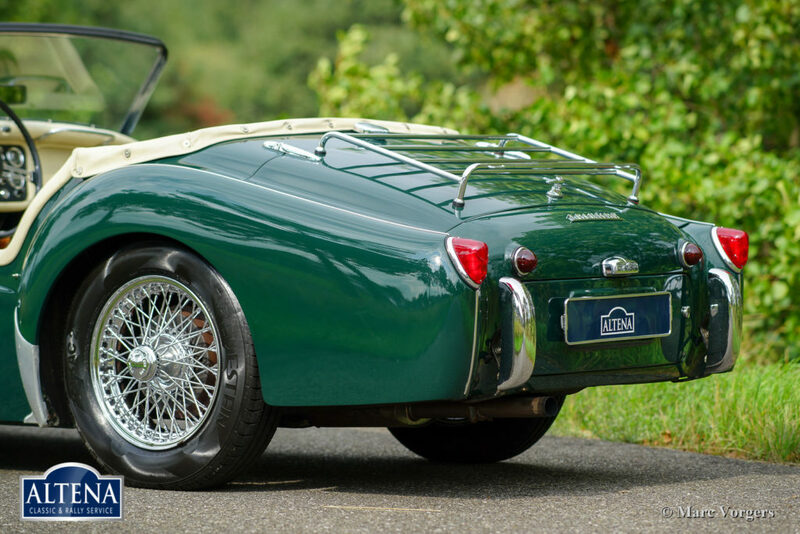 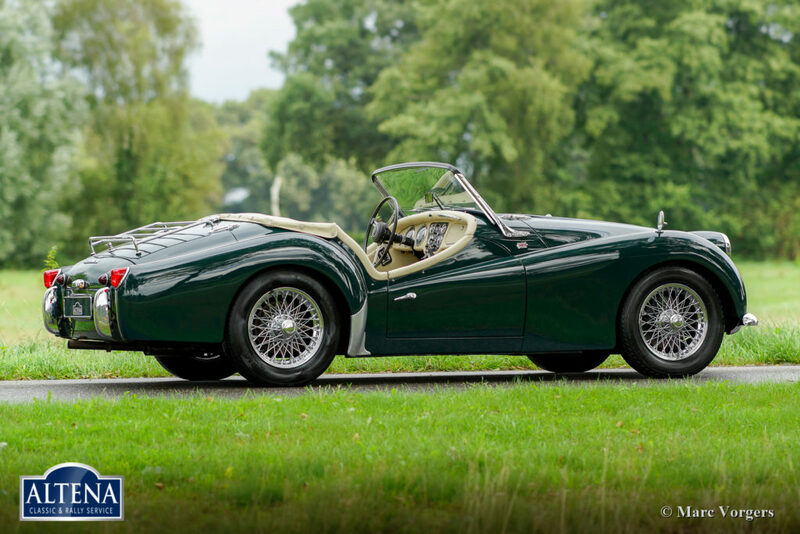 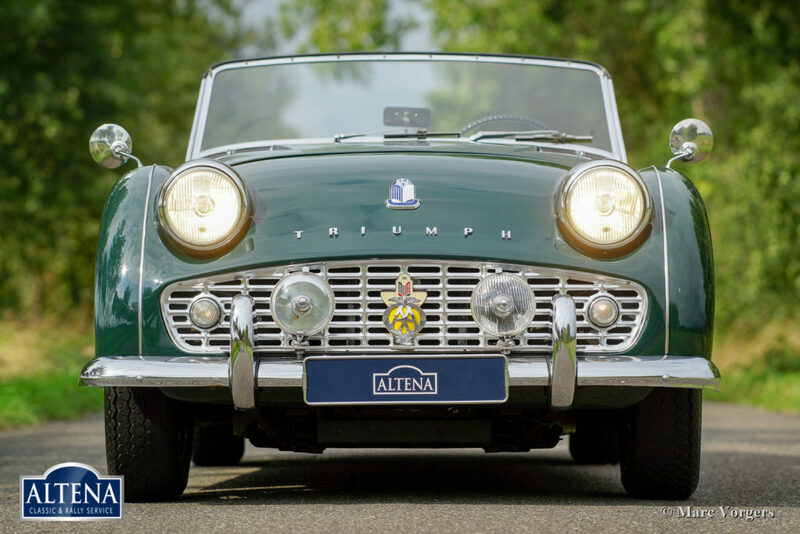 This wonderful Triumph TR 3A was extensively and ‘body-off’ restored by a Dutch restoration company in the 1990s. 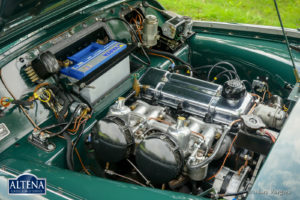 Of course, the engine and the gearbox were also overhauled, and a new wiring loom was fitted. Interior renewed and all the bright work re-chromed. 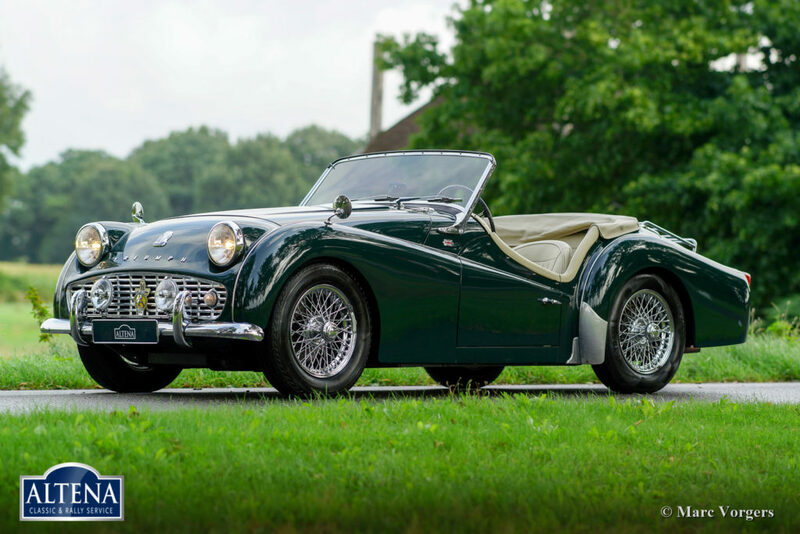 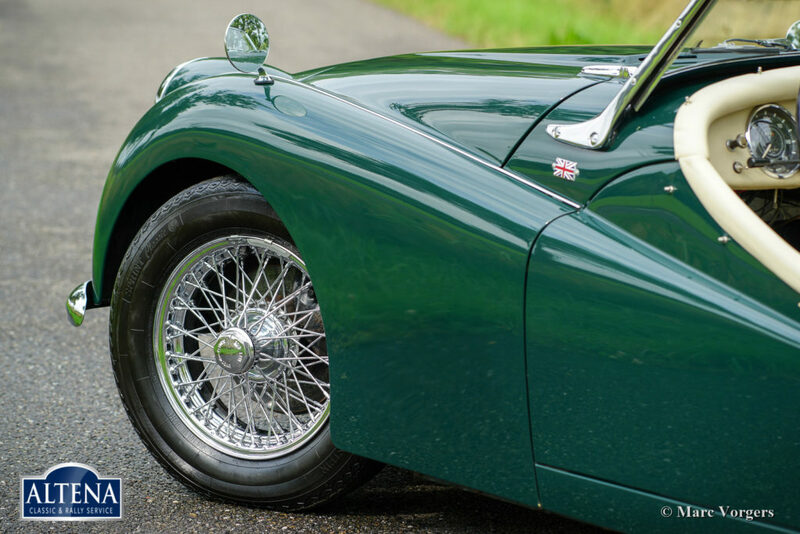 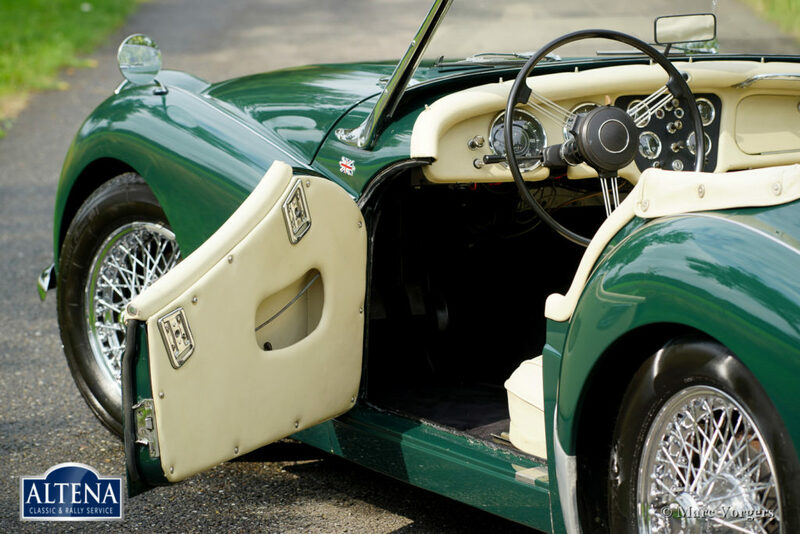 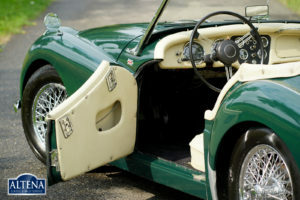 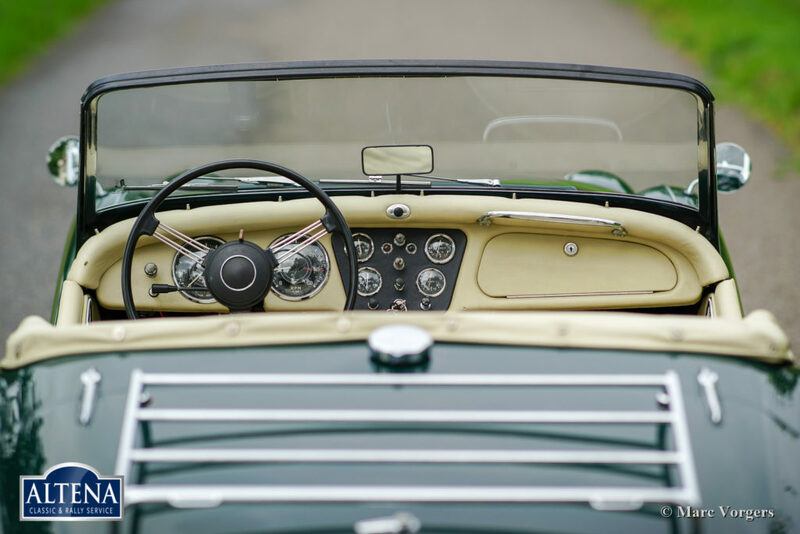 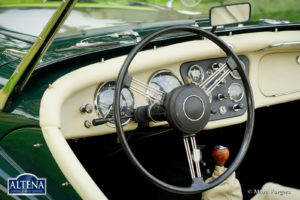 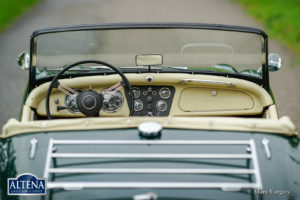 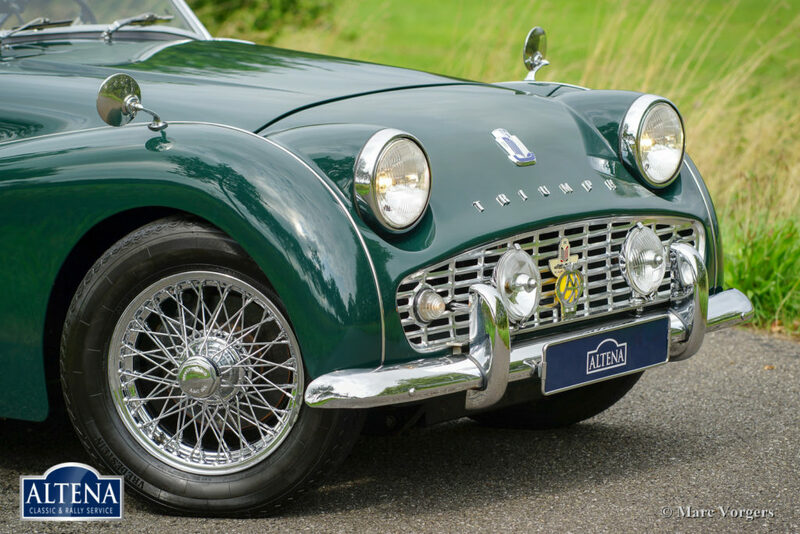 This magnificent Triumph TR 3a is in excellent condition and the car drives delightfully! 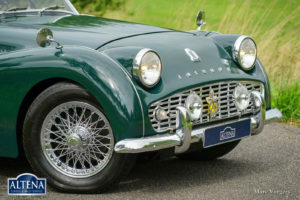 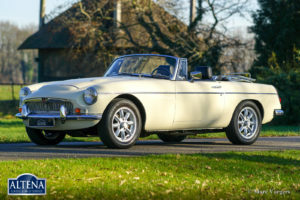 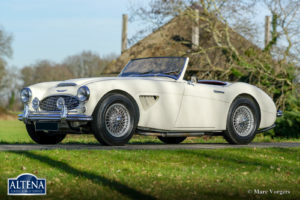 The car is fitted with chrome wire wheels, Vredestein 165 Sprint Classic tyres, a chrome boot rack, and additional Lucas lamps at the front (classic combination of fog-lamp and long-range spot-lamp). 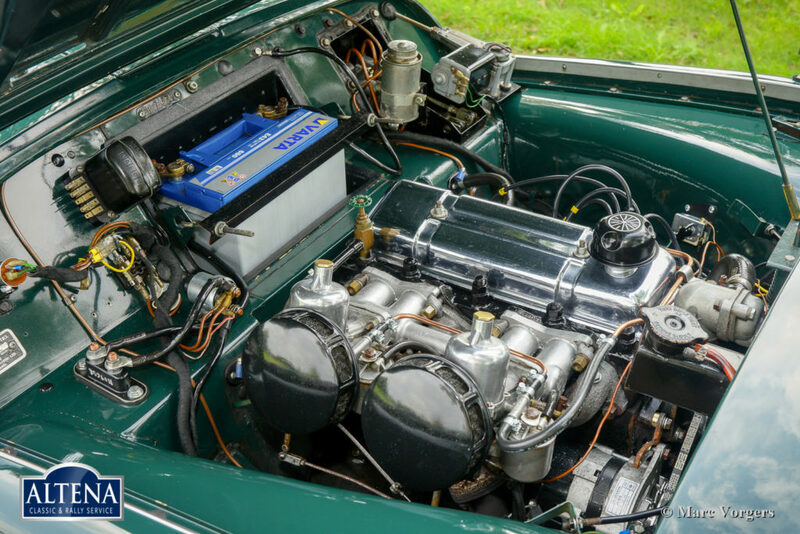 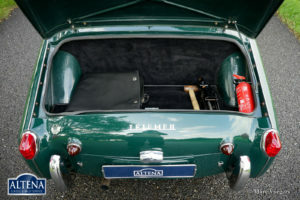 This Triumph TR 3A looks a picture, the engine room and the underside are also clean and well detailed! This Triumph TR 3A ready for new adventures in the hands of a new owner!